When two exchanges eye each other from across the ocean, there&apos;s a pretty standard courting procedure. One or both have usually been spurned and lust after a deal, if not particularly with the available lepers, then after a deal for a deal&apos;s sake, just to show they&apos;ve still got it. They dance around each other for a while coquettishly, before agreeing that it really would be a great idea to spend their lives (or a convenient period of time) together. Then, the regulatory chaperones step in and, usually, say no. The CME Group and Deutsche Börse decided to do away with those formalities; the latter, it seems, has decided it will never love again after the chaperones said it couldn&apos;t sleep with the pretty girl with the columns last year. On the bright side, the thought that the dowdy old Germans could attract the eye of the loveliest of all of the exchanges didn&apos;t hurt the former&apos;s stock today. German exchange operator Deutsche Börse AG and U.S. rival CME Group Inc. met twice in recent months to discuss views on potentially merging the operations, a person familiar with the matter said Monday. The talks took place at the request of CME, and Deutsche Börse told CME it wasn&apos;t interested in pursuing a merger, the person said. Earlier Monday, Deutsche Börse issued a statement saying it isn&apos;t in merger talks with CME, after shares had gained as much as 10% on speculation tied to a media report. 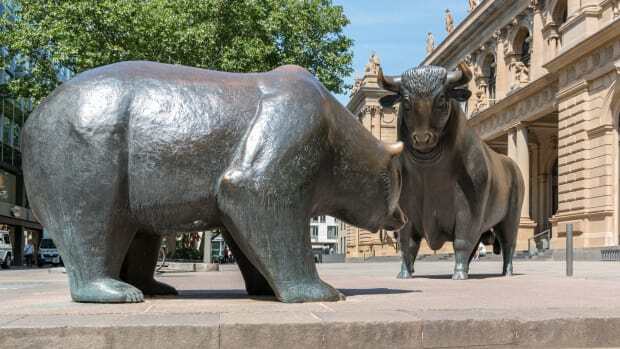 Deutsche Börse shares ended the day up 5.6% in Frankfurt. CME was up 0.4% midday on Nasdaq.